Background Image Via: Joe Candy/Wikimedia Commons. Used under Creative Commons. Football is often a release for some. For those ninety minutes, players and fans alike can forget about what is going on in the real world. It's a safe haven in its purest form. 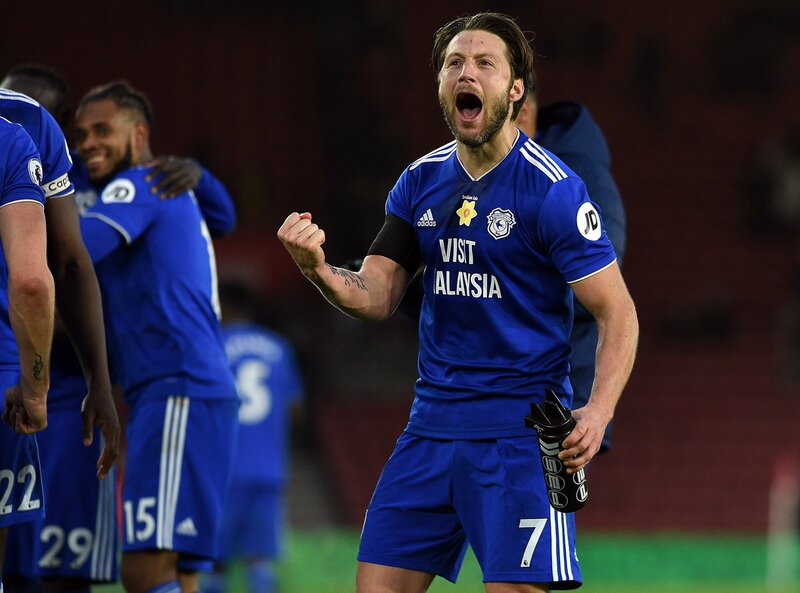 Cardiff City and the sporting world has been rocked recently, with the tragic passing of new Bluebirds signing Emiliano Sala and his pilot, Davie Ibbotson. Both on and off the field, the Premier League side have been tested to their core. While battling relegation, Neil Warnock's team have had to stand up and be counted. Staring adversity in the face is never easy. It would have been much simpler to wilt under the pressure and fold, condemning themselves to the Championship. Instead, Cardiff City are doing Sala proud. They're fighting with pride. They've come together as one. This spirit, desire and drive that everyone at the club is displaying, from top to bottom, is simply remarkable. Forty-nine teams have competed in the Premier League. The only one not to win back-to-back top-flight fixtures before this weekend? Yep, Cardiff City. Just over a week ago, Warnock's team beat an excellent Bournemouth side 2-0 at the Cardiff City Stadium. Seven days later, they followed that up with a gritty away victory on the South Coast; overcoming a Southampton side who themselves have seen significant improvements over the last month or so. Even in that game, Cardiff shown a real comradery. Sol Bamba opened the scoring in the 69th minute to give the visitors the lead before heartbreak struck in the 91st minute. Jack Stephens had equalised. Warnock would have to settle for a point. That was until Kenneth Zohore coolly slotted home following a goalmouth scramble, sending those away fans into raptures. Six points in two matches has seen Cardiff City leapfrog both the aforementioned Southampton and Newcastle United in the Premier League table. The Bluebirds now sit in sixteenth with twelve games remaining. From looking like a team that were already relegated, they've bounced back wonderfully well to at least give themselves an opportunity. Sometimes, working hard and commitment to the cause can outweigh overall team talent and ability. Leicester City epitomised that perfectly as they won the title a few years ago. Huddersfield aside, I think it's a fair assumption that this is amongst the least-talented squads in the table which is understandable given their recent promotion. As the saying goes, it's not the size of the dog in the fight, it's the size of the fight in the dog. These guys, from top to bottom, all have heart and sheer guts. That can never be taken away from them. With a home game against Watford coming up next, Warnock and his players will be feeling confident that they can continue this excellent run of form. If they stick together, play for one another and keep giving that extra 10%, they've every chance of scooping another vital victory, thus increasing the game between themselves and the dreaded-drop.